This album was released on September 21st this year. I didn’t review the third entry in BROCKHAMPTON’s Saturation trilogy just because it was more of the same, and I didn’t really have anything different to say from what I stated about the first two albums. I think it’s a good project though. Obviously there’s a big elephant in the room ever since that last album came out. Ameer Vann, one of the most prominent members on the first three projects, has been kicked out of the group due to a bunch of sexual abuse allegations. You all know the story by now. I personally don’t really think I’ll be bothered by his absence on this project. He was cool to listen to at first, but he recycled the same flow on damn near every song he appeared on. The rapping will probably sound a lot less stale on this project. I’m expecting this to be dope. 1. NEW ORLEANS performed by Dom McLennon, Kevin Abstract, bearface., Matt Champion, JOBA & Merlyn Wood featuring Jaden Smith produced by Romil Hemnani, JOBA, Jabari Manwa & bearface. 12. VIVID performed by Matt Champion, Dom McLennon, bearface. & Kevin Abstract produced by Q3, Romil Hemnani & bearface. 14. TONYA performed by bearface., Kevin Abstract, JOBA, Dom McLennon & Merlyn Wood produced by Romil Hemnani, JOBA, Dom McLennon, Jabari Manwa & bearface. The production on the first track isn’t that impressive to me, but it’s not bad. It gets the job done. The first verse from Dom McLennon was pretty nice. He’s definitely one of the best rappers in the group. Matt Champion did his thing. Something about JOBA’s delivery is always a turn off to me whenever he raps. I prefer him as a singer. He’s got a good flow though. Honestly, New Orleans is kind of a lackluster intro. The repetitive production gets old pretty quickly. Merlyn’s eccentric delivery was cool on the last verse. It just feels like kind of a weak start to the album to be honest. The more I listen to it the less I like it. I don’t think I’ll be returning to it. It transitions really smoothly into the following song, Thug Life. I’m not really crazy about the introductory vocals from Kevin & bearface. The production’s really soft. I don’t really like the way Dom used a voice synthesizer for his verse. It sounds weird. Honestly, it’s another song that I don’t see myself returning to. It’s not bad, but I can’t say I really enjoyed it that much. The production on Berlin is a lot harder than that of the previous track. I like the way the beat gets more melodic after the second recital of the hook. Dom McLennon definitely had the standout performance on this song, but I liked the vocal contribution from Kevin Abstract as well. I like this track, but it’s still not really impressing me as much as the music on the Saturation trilogy did. It’s good though. Something About Him is just Kevin singing about some guy he likes. It’s another underwhelming track honestly. I kinda like the melodic production, but that’s it as far as positives go. It’s only a minute and a half long. It’s a decent track I guess. I just don’t think it’s that good. I’m not gonna listen to it again. The production’s pretty solid on Where the Cash At. I liked the first verse from Merlyn, and Matt Champion did his thing on the second verse. The hook from Merlyn is nothing special. I don’t know… I kinda enjoyed it on the first listen, but I really just don’t see myself returning to it. Weight is the first song on the album that really feels like it has the same quality as what appeared on the Saturation trilogy. I love the way the beat drops after the first verse from Kevin, which was super emotional. I loved JOBA’s melodic delivery for the last couple of lines from his verse. The way the percussion switches up for Dom’s verse is awesome. The production is really fantastic on this song, and the outro from JOBA is great. The song is dope af. District is pretty good too. Each performer spits a really short verse aside from Matt Champion, who goes in longer than the other members. The way the production gets more melodic during the second recital of the hook is really cool. It’s not as good as the previous song, but it’s a bit more enjoyable for me than the opening tracks. It’s a dope song. Loophole is a 53 second interlude. It’s an audio clip of a Cam’ron interview from 2016. There’s no reason to discuss the track. I really like the beat on Tape. The first verse from Kevin was decent. The entire song is just one verse after another. There’s no hook or anything. I don’t mind the straightforward structure. None of the verses really blew me away, but it’s an entertaining song overall. It’s not my favorite track, but I enjoyed it. I like the grimy beat on J’ouvert a lot. The first verse from Matt Champion was nothing special in my opinion, but JOBA sounds really great on the second verse. The sample they flipped for the third verse from Merlyn was really cool too. Merlyn’s not really yelling like he usually does. It was cool to hear him with a different delivery. JOBA’s the one who yells on this track. It’s definitely one of the best tracks on the album so far. It transitions really nicely into Honey, which has a pretty cool beat. The introductory verse from Kevin was cool, and I liked the melodic verse from Merlyn a lot too. Dom McLennon definitely had the best verse on the song. His flow was great. The second half of the song flips the same sample as Don’t Take Days Off by Nipsey Hussle. It actually sounds really beautiful. It doesn’t really go anywhere, but it still sounds good. It’s a dope song. The beat on Vivid is really good, and I really like the flow that Matt & Dom both used. It’s a pretty short song. There’s not really much to discuss. I like it, but it’s not as exciting to me as the previous few tracks. 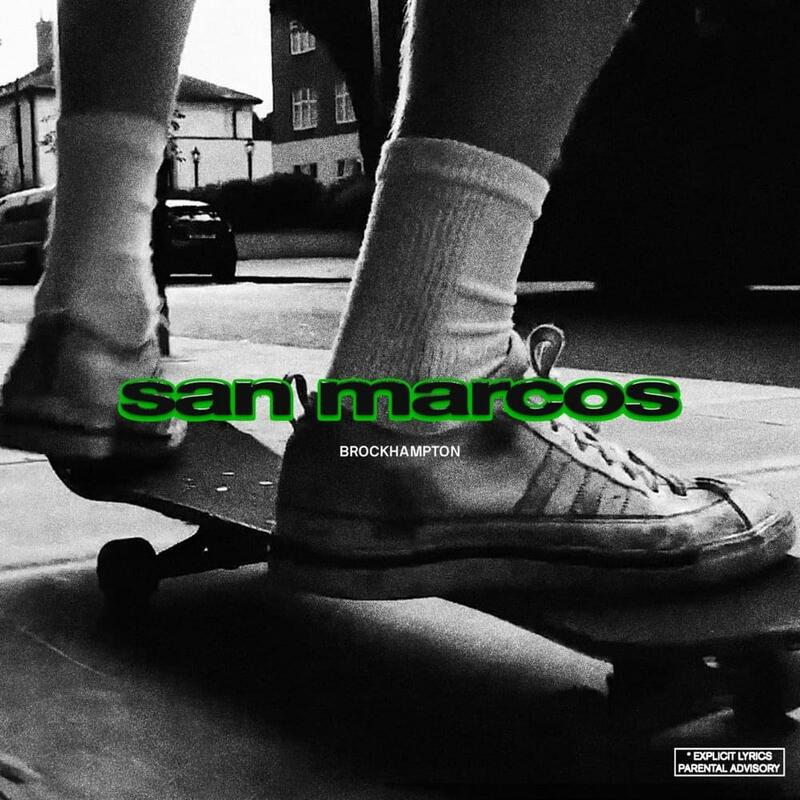 I’m not really crazy about the weird effects on Matt Champion’s voice at the beginning of San Marcos. I like the soft, melodic, acoustic guitar driven beat though. The hook from bearface. sounds pretty good. JOBA had the most enjoyable verse in my opinion. The choir on the outro sounds really great along with the instrumental crescendo. It’s a pretty good track. Tonya was originally performed on The Tonight Show with Jimmy Fallon. All I remember about the performance was the fact that Merlyn Wood had tears in his eyes while he was rapping. The production sounds emotional as hell. It’s just piano for the first half. I love the way it switches up for Kevin’s verse though. It sounds really good. I like the song. It’s super emotional, but that doesn’t really bother me. It’s another good song. The production on Fabric is really nice. The first two verses from Kevin & Dom are solid, and I like the hook a lot. The percussion that comes in during the final recital of the hook is really intense. The song didn’t blow me away, but it’s pretty good. I don’t have any gripes with it. This is a pretty good album. I don’t think it’s nearly as good as any of the Saturation albums, but it’s still worth checking out in my opinion. The first third of this project is actually really underwhelming. It gets off to a really rough start, which was kind of surprising to me considering how good the intros on their previous three albums are. 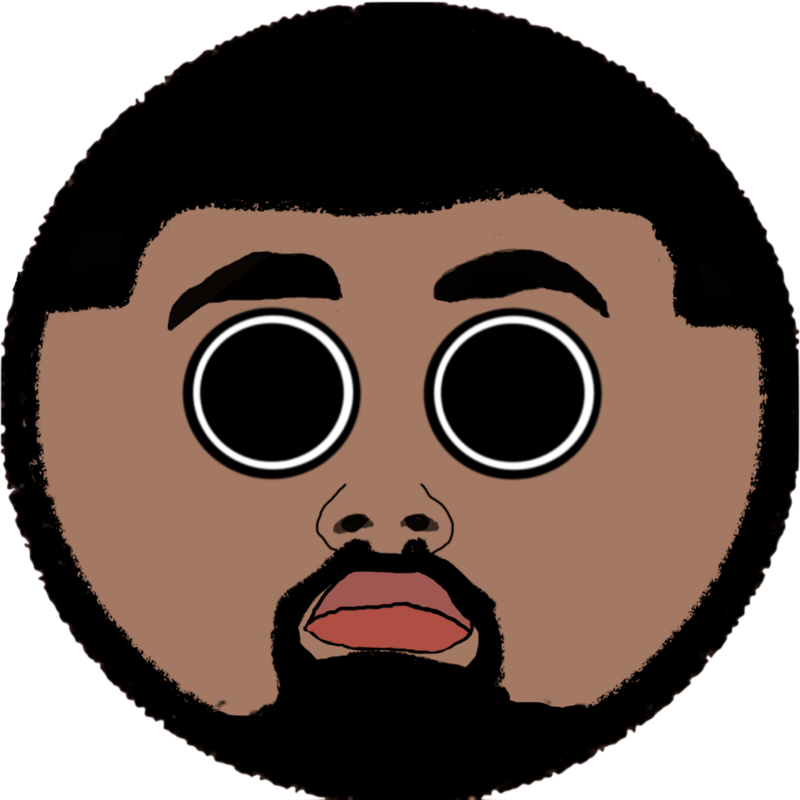 I don’t think the absence of Ameer Vann really has anything to do with this project’s lower quality, but I could be wrong. It’s a good project. I just don’t think it’s nearly as catchy as their previous work. I like it though. It’s dope.